AlphaBet Club’s takes pride with its initiative in organizing a medical checkup for the students of Building Blocks (BB) Schools. 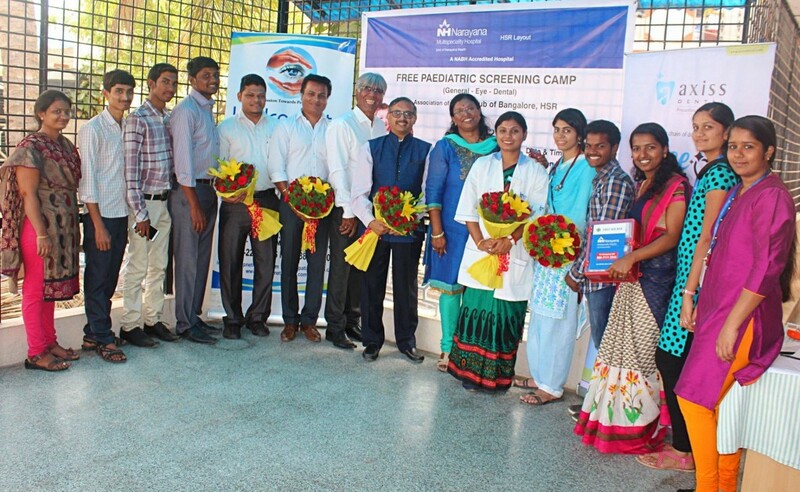 We are excited to share this with ABC community that a very successful health camp was conducted on March 10th in Bluebells School by the Lions Club, HSR Layout, Bangalore. Also, ABC is extremely proud to mention that a very thorough checkup on the three important aspects of primary health was covered in this camp. 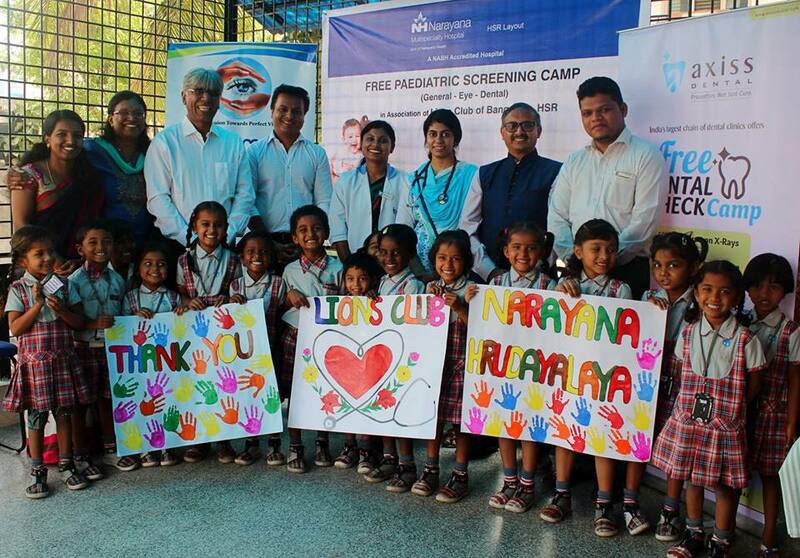 Lions club with its esteem partnership with Narayana Multispecialty Hospital, HSR (A unit of Narayana Hrudayalaya ltd) along with other partners from Axiss Dental and Sankalpa Eye Hospital conducted this camp for 150+ children aged between 3-10 yrs. It was overwhelming to see the children very enthusiastic to see the doctors and allow them for diagnosis. We are happy that for the first time we have been able to create medical records on pediatric, eye and dental aspects for the children. Children who require further investigation are identified and being taken up for further treatment on need basis by the Lions Club. ABC takes this opportunity to thank the Lions Club of HSR Layout, Bangalore, NH Hospital, Axiss Dental and Sankalpa Eye Hospital and all the doctors for rendering this service that has benefitted over 150+ needy children.